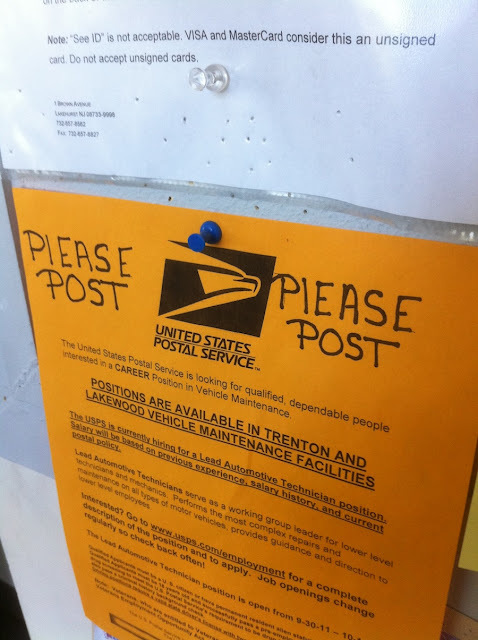 Okay, okay, Doug in the Lakehurst, NJ post office, we'll post! Our cop friends at Grammar Police realize that there's more to policing a world of signs than focusing just on grammatical errors. Sometimes you have to call out penmanship and, in this case, readerboard lettermanship. 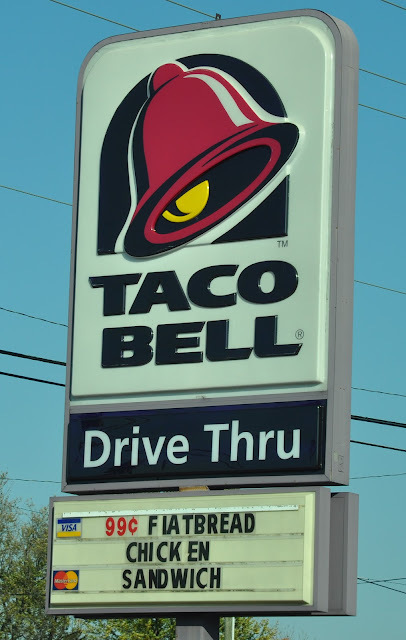 This sign for Taco Bell in COlDWATER, MI, advertises tempting 99¢ FlATBREAD CHICKEN SANDWICH, which is, apparently, a plump chicken sandwich after it has been run over by a Fiat. GAl chose to participate in the Occupation of Wall Street from the safety and comfort of her own home, staying connected with online commentary like this YouTube clip of a Keith Olbermann report, in which a young demonstrator asks, "THE WHOLE WORLD IS GOING BANKRUPT TOWHO? DEBT = SlAVERY". Little did GAl know that she had exposed herself to just as much risk online as she would have faced on the crowded streets of New York City if had joined her fellow protestors outside. I'm talking about the risk of exposure to inappropriate lowercase L's in otherwise all uppercase signage. Jamie never felt compelled to patronize the local mom-and-pop shops in Gilroy, California ... until THIS happened! She has since cut up her WAlMART CREDIT CARD, just like WAlMART cut the uppercase from the L.